B/TB : Beau/Très Beau : timbre de bonne qualité et de bel aspect présentant un défaut (mince, pli, etc). MNH : Mint never hinged ( ) : Mint not original gum MH : Mint hingedUsed : canceled ( ) : Mint no gum. We aim to provide a wide range of collectables. We cater for all pockets. One Penny Rose-Red. made with love by. Catalogue Value £42 . MINT without Gum. NO INTEREST | NO CATCHES | NO SMALL PRINT. INTEREST-FREE CREDIT OPTIONS UK Personal Cheque. 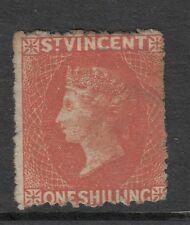 Year of issue: 1887. Grade: Fine. Canada & Provinces. British Honduras/Beli​ze. Newly Listed/New Arrivals. Commonwealth & Empire. Collections & Mixtures. 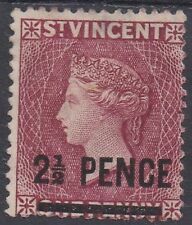 SG 24 St Vincent 1875-78. 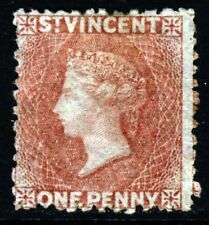 Year of issue: 1877. Grade: Fine. Canada & Provinces. British Honduras/Beli​ze. Newly Listed/New Arrivals. Commonwealth & Empire. Collections & Mixtures. 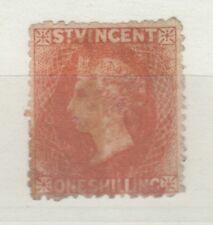 Year of issue: 1872. Grade: Fine. Newly Listed/New Arrivals. Commonwealth & Empire. Collections & Mixtures. Era: Queen Victoria (1837-1901). 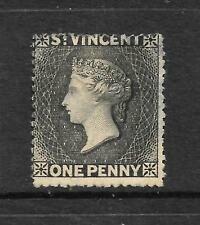 St Vincent 1872 1d Black SG18 Wmk Sideways Fine Unused. What you see is what you'll get. Diese Kosten sind vom Käufer zu tragen. Das wären Verstöße gegen internationales Handelsrecht.